October 1 is when California’s longest running halibut derby will kick off, with Sunday trips to start and Friday trips being added as the season wears on. The trips fish on the drift, targeting halibut. Sponsored by local tackle stores in that of the Jig Stop and Hogan’s Bait and Tackle—BOTH of which will give gift bags to the biggest halibut of the month—the derby also has sponsors that include a national company that calls Southern California home, in that of Okuma. And another SoCal company with a national/international presence in that of bdoutdoors.com will be giving away BD Outdoors merchandise to anyone who catches a halibut over 20 pounds. 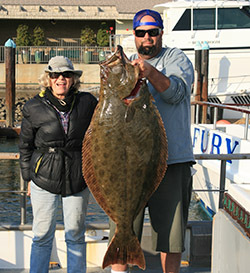 Dana Wharf’s Halibut Derby is known for kicking out California halibut about as big as they get for the winners, with halibut in the 40-pound class being at the top of the list more years than not. The last derby accounted for 39 legal halibut, with over 100 shorts being in the mix. The way the derby works is that $5 from each ticket sold for the derby trip goes into the jackpots’ pools. Half the money goes to the overall biggest halibut after March 1, the other half is awarded to the angler who catches the biggest halibut during the fish-off that pits the top 25 halibut anglers—in terms of weight—against each other during a free trip in April. 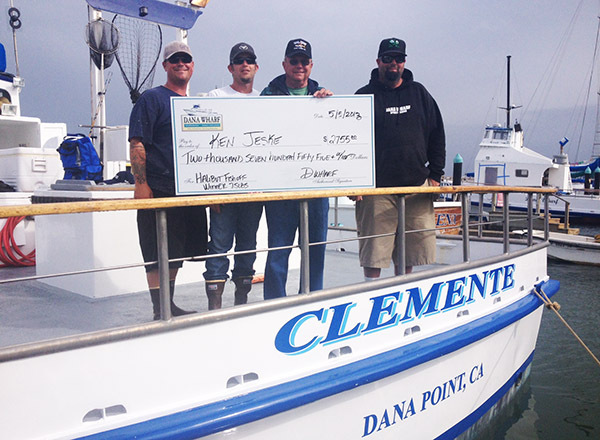 In the last derby that meant $2,755 to the two anglers who secured the biggest overall and the biggest halibut during the fish-off, respectively. For anglers who can not make it out on a halibut special, they can enter while fishing on any trip fishing locally for $5. 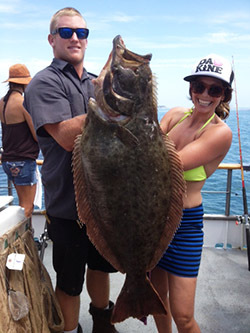 Dana Point’s zone from Salt Creek to San Onofre has proven itself as not just the Bass Capital of the West, but also Southern California’s coast halibut headquarters—Dana Wharf’s sportboats catch more coastal halibut along this stretch of sand, kelp and hard bottom year after year. Every month, the angler who catches the biggest halibut will win a rod/reel combination from Okuma to go with a gift cards and tackle.